Proven search ads skills! Google Partners is Google’s programme for advertising agencies, digital marketing professionals and other online consultants; who manage Google Ads accounts. 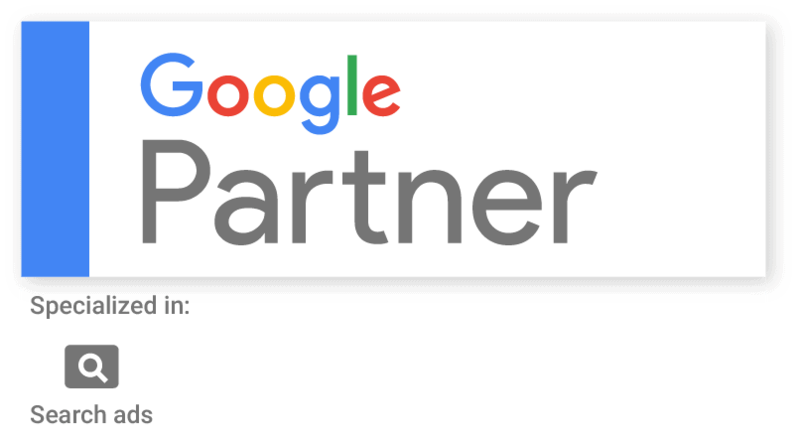 The Google Partner badge is awarded to companies with Google Ads skills and expertise. Search specialisation shows that a Google Partner can help you create and optimise ads, that show up on Google Search. Individuals at this company demonstrate high performance and knowledge in this area. They can also advise on keyword strategy and budget planning. This includes creating, managing, measuring and optimising Search campaigns. This new specialisation recognises that, White Rabbit Consultancy has demonstrated expertise and sustained client performance in search advertising. Recognition of performance is based on the revenue growth and retention of clients and growth in overall revenue. If your Google Search Ad Campaigns are struggling, optimising accounts is our speciality. Increase traffic, conversions and revenue; get help from a certified Google Partner with proven skills and Search Specialisation. Be the first to share this post!